With Halloween coming up soon, I thought I would put together some Halloween books to get the kids in the mood for Halloween. Not that mine need anymore things to get them in the mood for it, they are already super excited and planning all their outfits! Here is a collection of 31 Halloween books, 1 for each day of October, leading up until the big day. Hope everyone has a happy Halloween, filled with fun and spookyness! Great book ideas! Thank you! We’ve only read the Julia Donaldson ones! The Gruffalo, Room on a Broom & Zog! Oh I love these. I need to pick up some new ones. Thanks for sharing. I haven’t heard of most of these so I’ll have to take a look. It would be fun to have a few Halloween books. 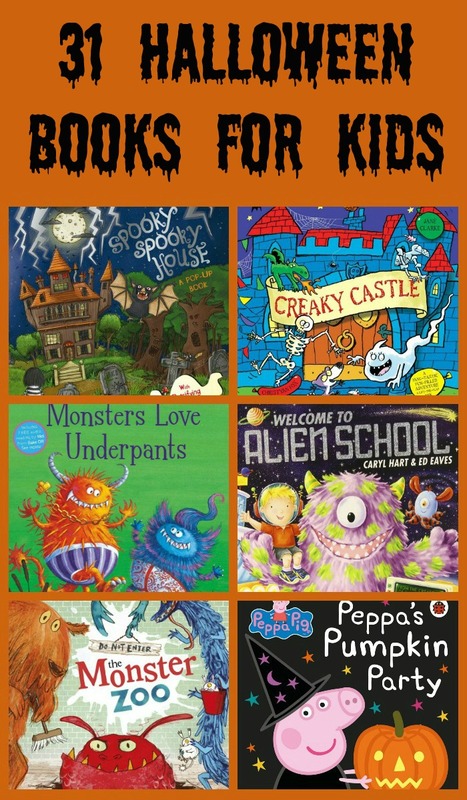 Great list – my daughter loves Halloween and we read together a lot so will have to check some of these out! Oh, yah! Thanks for the inspiration. My kid is hooked on Scary Edwin Page and I’m driven demented reading it every single day.